Working together, union members have the strength to win better wages, affordable health care, a secure retirement, and safer workplaces. The “Union Advantage” is substantial. 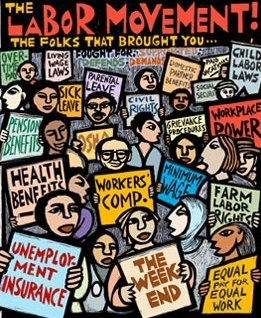 According to the U.S. Department of Labor, union members are much more likely to have health benefits and pensions. In addition to helping workers win better wages and benefits, unions help all workers by giving working families a stronger voice in our communities and in the political arena. For people of color and women workers, the union impact is even greater. Women workers who are union members earn nearly $9,000 a year more than their non-union counterparts. For African-American workers, the union differential is also about $9,000. For Latino workers, the yearly advantage is more than $11,000. By joining together we can build the strength to hold elected officials accountable, stop the “race to the bottom” by employers who cut wages and benefits in favor of bigger profits, and win improvements such as affordable, quality health care for all.